What’s with all the kings and queens in fantasy? Royalty are more a staple of fantasy stories than dragons, elves and possibly even magic. Royalty appears in some form or another in almost every fantasy franchise set on another world: Lord of the Rings, Game of Thrones, Elantris, Discworld, the Farseer Trilogy, Prince of Thorns. It’s all got royalty in there somewhere. There’s even a king in Howl’s Moving Castle, though his appearance is brief and his impact on the plot minimal. In a world dominated by politicians, councils, parliaments, senates and so on, a world of democracies and republics, a world where monarchs are figureheads only in the Western world – and the Western world is suspicious of those royalty who are more than figureheads – why is royalty so popular amongst writers and readers of fantasy? At one level, it’s likely that the source material or inspiration for a lot of fantasy – history and myth – has a big influence in this manner. For most of the last 4000 years of history, almost all of the civilisations we know about were ruled by a single man or woman, whether they were called Pharaoh, King, Queen or Emperor, and a lot of the time they got there by being related to the previous one. Only a few civilisations widely known about buck that trend: democratic classical Athens and Republican Rome are two. The former was short-lived – little more than a century. The latter lasted quite a bit longer and was successful for a time, but it is less in the public consciousness than the Empire; the Neros and Caligulas of the later period are more memorable than the hundreds of consuls that briefly chaired the senate in the almost five centuries between the overthrow of the almost mythical kings and the rise of the empire following the death of Julius Caesar. Some of the most enduring myths also feature royalty a lot. In this, King Arthur is a prime example, but Robin Hood also involves kings – Robin’s motivations centre around King Richard the Lionheart and the evil King John. Beowulf, too, features royalty. Agamemnon, Menelaus, Achilles and Odysseus were all kings, and opposing them from behind the walls of Troy were King Priam and princes Hector and Paris. But that’s not all of it. There’s a storytelling element behind involving royalty too. Royalty gives two things to a writer which are essential to a successful story: focus and scale. Involving royalty can be a shorthand to demonstrate that the story has an impact beyond merely the personal. It lends the story importance, and tells the reader that, while the story might only show how a small number of individuals are affected, there’s a fall-out beyond that, because royalty is inextricably linked to the people it serves and/or rules. Making a king or queen, or some other member of royalty, the villain or protagonist also gives a story focus. The political structure is quickly established because it is recognisable; readers know what to expect. It also involves relatively few key players. In a democratic or oligarchic system, there’s generally some sort of council, a decision-making process which involves a lot of people who must all agree, or at least reach a majority verdict, before action can be taken. This makes the decision-making process slow, and dilutes the power of any individual member; even if there are factions within an oligarchic council, or corruption, there’s still a sense that you need a large number of people in general agreement before things get done. This means that a protagonist who is either part of or set up in opposition to this group also has limited influence. Bringing down the corrupt oligarch at the top of the pile still leaves several more potentially between your protagonist and victory. In a monarchy, there’s one person at the top, and relatively few key players, with a well-established hierarchy dictating their relative influence. Whether the king is hero, villain or side character, he’s right at the top of it all. He’s the one giving the orders, he’s the one whose death will have the greatest impact. He’s the one around whom the rest of the governing body orbits. He’s the one who must be killed, saved, or do the saving if the protagonist is to win. His is the position which is coveted, fought for, killed, bribed and cheated for. And once a character holds that role, there’s little space for ambiguity in who is in charge. Not that there can’t be complex politics and corruption, but there is focus. Now, I’m not a psychologist, but it seems there are generally three attitudes to authority – to want to be it, to follow it, or to resist it. Royalty gives the opportunity to present all three within a story. The protagonist can even fill any of those roles – for example, King Arthur was a king, while Robin Hood both followed royalty – King Richard – and resisted it – King John and the Sherriff of Nottingham John had appointed. We as humans understand the nature of an alpha person, a leader; royalty presents the ultimate leader: unique, in some traditions divinely appointed, and right at the top of the pile. What’s not to like? Then there’s one of the most common plots involving royalty: the rightful king (or queen). While the idea that any one person has a divine or destined right to rule over a whole lot of other people based on who their parents were is not so popular in the modern world, it is rife in fantasy. I don’t think that has much to do with authors’ and readers’ views on government, though. I think it’s about something different entirely: a sense of justice. The concept of the rightful heir to the throne is centred around a character who has something of theirs, something they had a right to expect, taken from them, and then seeking to have it returned to them. The individual who took it from them is seen as morally corrupt, while the individual seeking to regain it is, if not perfect, certainly more moral than the person who took it. The concept therefore resonates well with readers, because everyone at some point has had something they saw as theirs taken from them – and had no recourse to take it back. This could be something as petty as sweets stolen by a sibling or the last good car parking space, or it might be something far more serious, but it is a universal experience. And we are prone to attribute to the individual who has taken that thing all sorts of moral failings, whether they exist or not, while we, the victims, hold on to our victimhood and associate it with our own virtues (almost nobody really believes they’re a bad person). Thus a story about an exiled prince or princess upon a quest to take back the throne forcibly taken from them is actually about a character achieving justice for a wrong committed against them. Royalty’s enduring place in fantasy in a society which has itself long ago rejected royalty is a testament to the power royalty has in fiction. It permeates cultural memory through myth and history, it resonates with humanity because it represents to ultimate human authority to strive to become, follow or overthrow, and it provides the author with a means of focusing the story on what and who is important in it. Oooh very psychological and very true. Great analysis! Actually it’s pretty simple. The type of government (as well as religious ideas, legal framework, economic system, etc.) is dictated in its parameters by the material circumstances, and those in turn are largely a product of technology. A society that lacks certain key technologies (printing, notably, which makes a literate population feasible) will tend to have a monarchy because that’s the kind of government that works for a society of any significant size with an illiterate population and slow means of communicating. To put a modern republic in such a world would be unrealistic, unless magic substitutes for technology in some way and accomplishes the same things. it would be similarly unrealistic to have a monarchy (other than a figurehead) in a modern, high-tech society, which is one reason you don’t see many monarchs in contemporary fantasy, except as titled heads of some supernatural faction or other. That’s a fair point as far as technology and whatnot is concerned, but there are forms of government which do not require advanced means of communication or a literate population – Athens produced a true democracy in 510 BCE, in a small territory, which lasted over a century; literacy rates are debateable, but evidence suggests many voters couldn’t write so much as the name of a potential ostracism candidate; most adult male citizens could manage their own name and common market commodoties, I suspect (from my own research) but aside from the elite – the very wealthy who could hire tutors – they were not a very literate society. Then there’s the Roman republic, according to legend founded in 509 BCE, similarly run by the elite and headed by two consults replaced annually, but nevertheless, not a monarchy. Records for this period in Roman history are hardly common due to their having been destroyed in the 4th century BCE, but I find it unlikely that a city state on the very edge of the Greek world would have been any more literate than Athens, known for the wealth of docusments it produced. 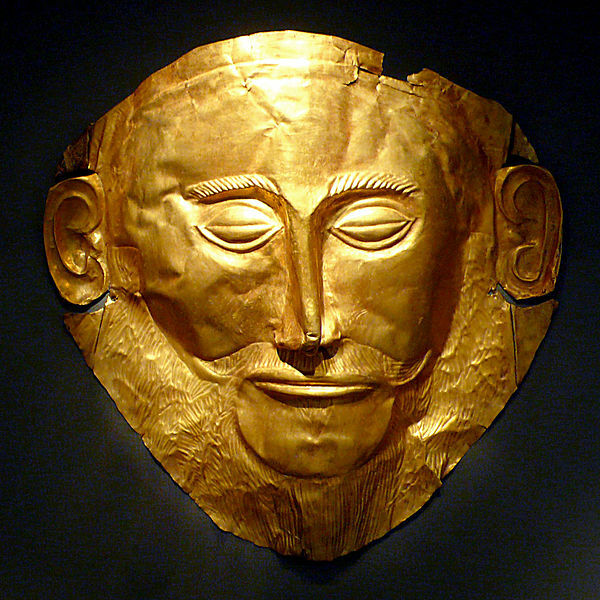 Oligarchies, the rule of a few, were common in ancient Greece from the archaeic period onwards. The Bacchiadae are an example dating to the 8th century BCE in Corinth; numerous other city states similarly were ruled by oligarchies featuring one or more family in charge. So there are non-monarchic options for a pre-industrial society which have historic roots. The problem is that it’s mighty hard to assign a single individual as the root cause of, or spider in the middle of the web of, a systematic failure in government when that government is run by 500 people of whichever tribe’s turn it is this year, or even by 27 members of three oligarchic families, or by 300 senators and two elected consuls who have only been on office for half a year and in another half year will again be gone. Monarchies offer a more concentrated focus to the writer, not merely the benefit of historical realism. Non-monarchic governments did exist and the fantasy author can use them.